Die Herbstanemonen blühen schon ganz zauberhaft! 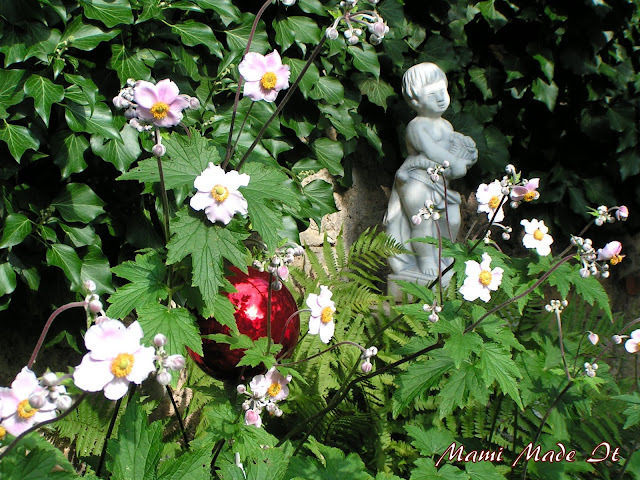 The fall anemones bloom quite magical! The anemones are beautiful, great photo. So nice. I like the garden ornament too!